A beautifully decorated gift basket. | Image courtesy Pixabay user nastya_gepp. Every year, to celebrate Spring, my mother used to have a Spring Fling party. She’d invite our relatives over for an early season afternoon barbeque and decorate the house in Spring colors like yellow, green, and baby blue. My mom also used to make Spring gift baskets as party favors. She put a lot of work into them, as everyone got a basket that was uniquely their own. A couple years ago, I decided to carry on the family tradition. Now every year, I spend a day or two hunting down Spring gift basket ideas as part of my own seasonal celebrations. I love putting together gift baskets because it’s a chance to personalize a present. I never buy a premade basket, instead choosing to pick every item out myself. While it may sound labor intensive, it’s not that bad if you know where to shop and what to look for. Besides, it can be quite fun mixing and matching a variety of smaller gifts! A basic way to start picking out items for a Spring themed basket is to choose one for every one of the senses. That way, you can cover all your bases and give a Spring basket that’s sure to please anyone who receives it. A rabbit figurine is a playful basket addition. | Image courtesy Etsy user VintagioUSSR. One of the benefits of building a Spring gift basket based on the five senses is it keeps you from accidentally giving someone a basket of things they can’t use. This happened to me once, when I gave a coworker a gift basket filled with candy—not realizing he was diabetic! Had I chosen a more well-rounded gift basket, he would have been able to ignore the candy and enjoy the rest. Now, any basket I give can be expected to have one gift for each of the senses. Sight: While a basket should be pretty, the sight present is about more than the overall aesthetic of the basket. For this, choose an item that’s purely decorative and also in the spirit of the season. A cute rabbit figurine or a flower print are good options to represent sight. 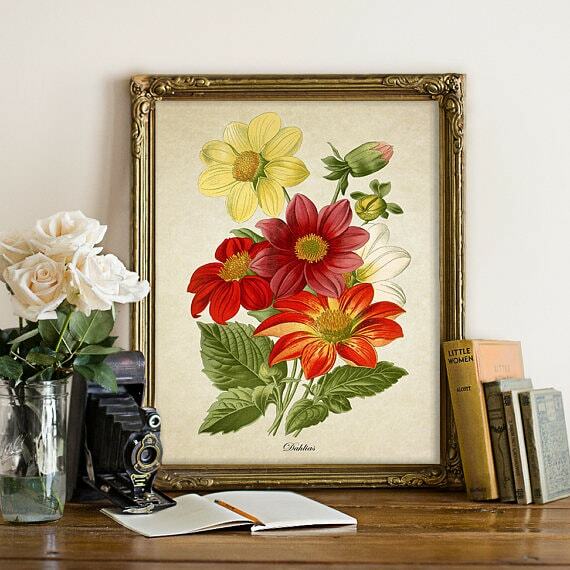 A bright flower print to celebrate Spring year-round. | Image courtesy Etsy user ttgbotanicalprints. Sound: When I was little, my basket always had a cute little novelty product—a can that chirped like a baby bird when it was turned upside down. A more sophisticated twist on this for adults could be a small music box that plays a light, Spring-inspired melody. Taste: This one’s easy. 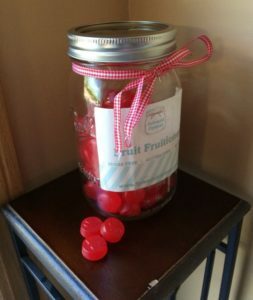 Pick a Spring themed candy, preferably one in bright colors or shapes like eggs or flowers. If you want to avoid a situation like my diabetic mishap, consider buying some handmade sugar-free candies. Touch: There’s a lot of textures you can associate with Spring. Usually, they’re soft, like the fuzz on a baby rabbit, or airy, as our wardrobes get lighter for summer. A nice, lightweight scarf or handkerchief acts as a great addition to represent a touch of Spring. Smell: While fresh flowers are often ideal, they may not travel well or you may be concerned about allergies. 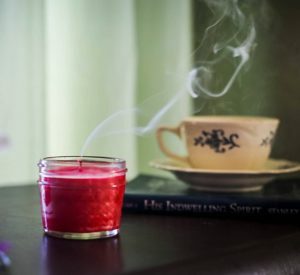 A good alternative that lasts much longer is a Spring scented candle, like lilac or cherry blossom. Focusing on the five senses when giving a Spring gift basket ensures that no one gets left out. If you look around a bit, you can also find a lot of great low-cost gifts to keep expenses down. That’s what my mom used to do with her Spring themed baskets. Another way is to limit your gift giving requirements with a gift exchange. Sugar-free candy is something everyone can enjoy. | Image courtesy Etsy user Splendid Options. The cost of getting every one of your friends a basket could end up being a tad pricey. That’s why I recommend turning it into a Spring basket gift exchange. That way, costs stay down and everyone gets to participate. Plus, it’s much easier to personalize a gift basket for one person rather than twenty. I suggest setting up your Spring basket exchange during an event, like my mom did with her Spring Flings. If you want to play it the old-fashioned way, get a list of those interested in participating, set your price limit, and have them choose names out of a hat to decide who they’re buying for. However, you can make that process much easier by using an online Secret Santa generator like Elfster. Secret Santa generators allow you to keep track of all the participants in one place. Cherry blossom candles offer a whiff of Spring year-round. | Image courtesy of Etsy user WixWax Candles. When you set up your gift exchange online, the system even matches up participants for you, thereby eliminating the risk of mistakes. Users can create wish lists so their Secret Santa can be sure to select items they will love. You can also include details such as a price limit if you want to make sure things stay affordable. That way, you can concentrate all your efforts on creating the perfect Spring gift basket rather than worrying about buying for everyone or managing a massive gift exchange. The time to think about Spring gift basket ideas is now, as people begin planning events to celebrate the season. You can set up your own event by hosting a fun, Spring themed basket exchange. Gift a basket designed to delight all five senses, and your Spring gift basket idea is sure to be a hit! At Elfster, we don’t limit our gift giving to Christmas. Browse our gift guides or set up a gift exchange today. You can share your Spring gift ideas with us on Facebook, Instagram @Elfster, or Twitter @Elfster.